I started my research and convinced, was about to buy it online. However, I thought I should try the shades and get a demo of its consistency. So last evening, I visited a beauty store and checked the product myself. 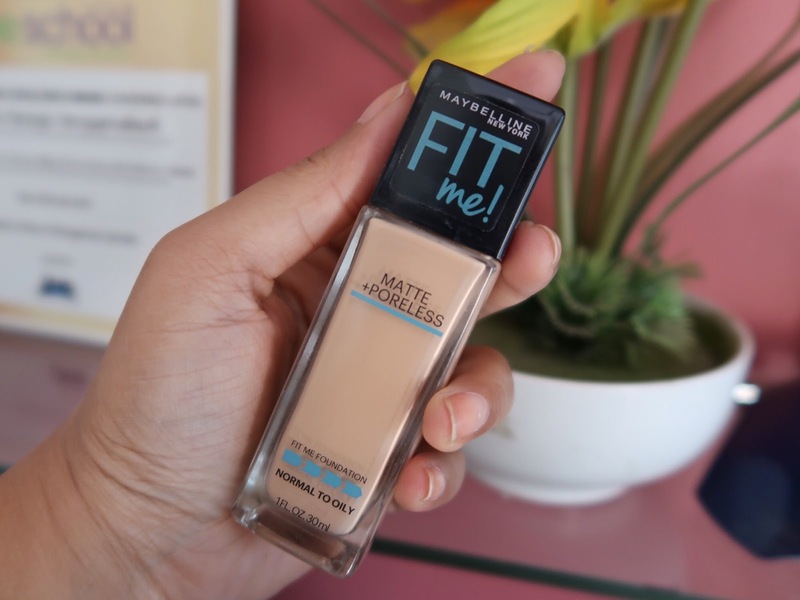 Maybelline has also launched a Superstay foundation but I was not rushing to buy it. I finalised on the Fit Me foundation in the shade 130 Buff Beige. I have tried it twice so far, with and without a primer. The packaging is decent. In fact, my assumptions about it being a coarse foundation were due to its packaging. The product comes in a glass bottle with a plastic cap. It does not have a pump dispenser so you need to literally pour the foundation in order to use it. The application is flawless. 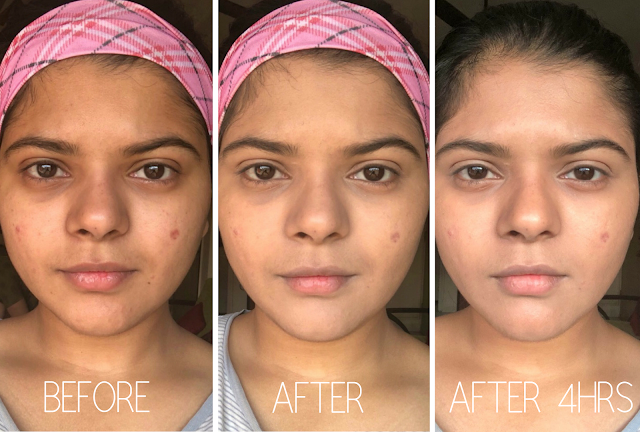 The foundation doesn't glide but absorbs in your skin thus giving a smooth, soft, and flawless looking face. To apply, simply pour the foundation on the back of your palm and spread it all over your face and neck using a damp sponge. For best results, dab the sponge instead of stroking. The consistency is liquidy. 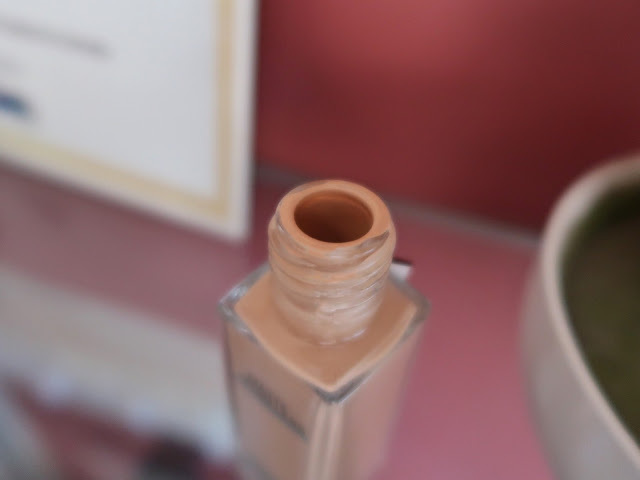 It blends amazingly well and gives a medium coverage. I tried it on my acne spot and the spot just faded, however, it wasn't invisible. The under the eye worked pretty well, if you have lighter dark circles, however, an additional layer of concealer is required. The foundation looks like your own skin from afar. Only on taking a closer look can one notice the foundation. I tried it on without a primer and it lasted pretty well from 1:30 pm to 7:30 pm. So you can say, the lasting is pretty good. Another thing, it did not crease near my smile lines, which is brilliant! The Fit Me foundation fares well for a beginner or someone with a budget who is looking for a medium coverage. It can be used with or without a concealer and can be used as a base makeup for special occasions like festivals and parties. 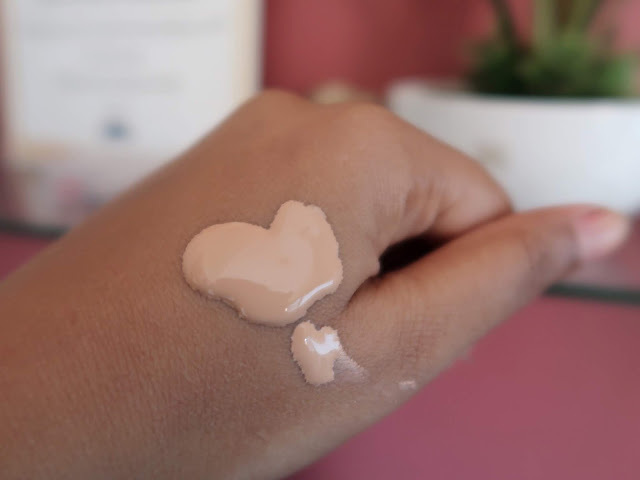 Since the foundation is matte, use some moisturiser beforehand for greater results. In the above collage, I tried the foundation on a layer of moisturiser and sunscreen. I did not use a primer before or a compact/loose powder after the application. So whatever result you see is purely of the foundation. I honestly wanted something that hides my acne spots better than what this one does. Also, I had heard some great reviews about it, however, it's not that up to the mark. But for a full coverage, when there are no acne spots, it's a good foundation. So if you're looking for something to brighten your skin and give an even tone throughout your face, this one's a wonderful choice.